Chambers Creek is located primarily in Navarro County. 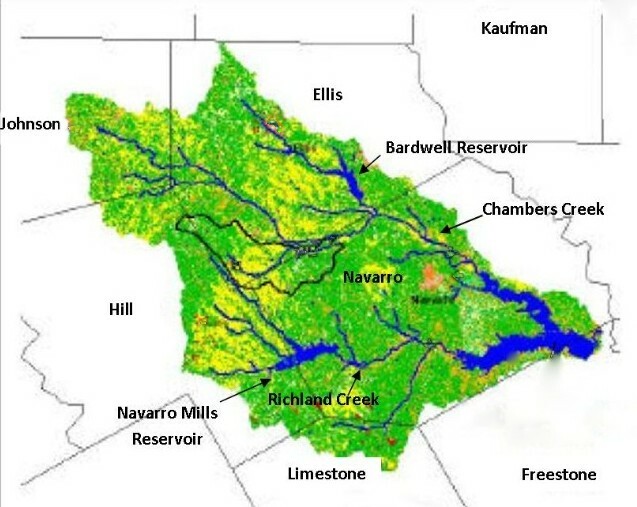 The headwaters of Chambers Creek is Bardwell Reservior located in Ellis County just west of the city of Ennis, TX. Chambers Creek flows into Richland Chambers Lake.